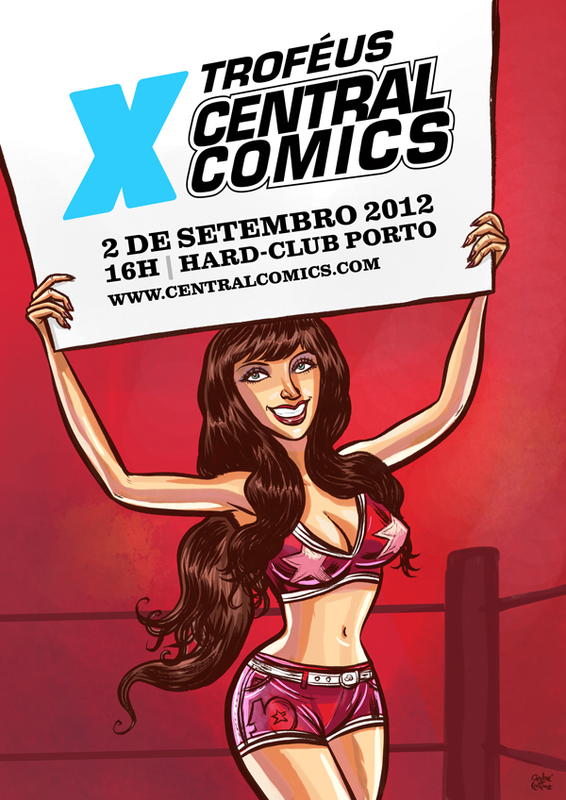 I was invited to do this year’s poster for Central Comics’s event. It’s a comic books award event, where people vote on their favorite through the web. I thought about using the ring girl who holds the sign for the rounds during the matches. After some sketches to try out my idea I sent a more detailed drawing to the client and he liked it! I had to do some research and took some reference photos for the position I wanted to draw. After pencilling, I inked it with a brush, scanned and took it to the digital world and added color, and worked on the typography.